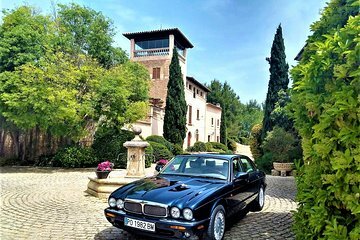 Explore Serra de Tramuntana in style by going on a private tour in a classic Jaguar car. The west coast of Mallorca is dotted with historic monuments, traditional fishing villages, and dramatic sea cliffs. Your local guide will ensure you see lots of scenic spots including Tramuntana mountain range, Valldemossa, Deia, and Port de Soller. At the end of your day, you’ll be given a gift bag full of delicious local food and wine.